Analysis of IPL 4: Who is Best & Worst? IPL 4 (fourth edition of Indian Premier League season) has been completed and once again Chennai Super Kings received the title of winner. So now it is time to make analysis of IPL 4. All the teams are engaged in calculating whether they got profit or loss as some celebrities have invested money in particular team so they view this tournament’s result in the form of gain or loss. Various questions are open to debate like which players proved best & worst, which team gave the best performance, etc. to make a conclusion about IPL 4. Let’s talk about some interesting points of this 51 days cricket competition. Player’s auction plays vital role in the IPL cricket competition. To make decision about which player should be purchased in how much amount requires considerable amount of analysis. Lots of money has been spent to purchase the players even though there is no guaranty of their performance in whole tournament. Some players proved best and some proved worst or unlucky for the team in IPL 4. Few players played well and won the heart of his fans. They also contributed for their team to won the match. 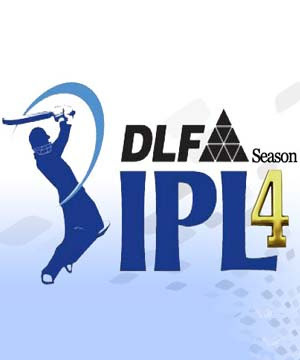 74 matches have been played from 8 April, 2011 to 28 May, 2011 in this fourth series of IPL. Final match was played by the Chennai Super Kings and Royal Challenger Bangalore and Chennai Super Kings won the match by 58 runs. Mumbai has played well but appeared up to the second semifinal and did not get entry in the final match. Who is best in IPL 4? Suresh Raina and MS Dhoni proved the best pair for Chennai Super Kings. Dhoni has played the role of captain, batsman and wicket keeper in the CSK team. He might fail in the role of batsman but his wicket-keeping and captaincy made the balance of his performance in IPL 4. Chris Gayle has changed the destiny of Bangalore by giving the fantastic performance during the tournament. Selection of Chris Gayle is proved profitable for Bangalore as he helped his team to reach to the final and proved himself as the best fine off spin bowler as well as batsman. He got orange cap for making the highest runs (608). Virat kohli has scored 557 runs in 16 innings which made him second in the list of the leading run scorers in this tournament. Sachin has made 553 run that is third highest runs in the IPL 4. The most highly priced player, Gautam Gambhir, has helped to reach his team (Kolkata Knight Riders) to knock out round and gave a return to his team for his highest cost. Lasith Malinga and Munaf Patel were best choices for their teams as they have made half century in the terms of wickets. Besides, players like Shaun Marsh, Suresh Raina, Shane Watson, Rahul Sharma, and Ravichandran Ashwin proved best selection for their team. Who is worst in IPL 4? Irfan pathan proved the worst player for Delhi Daredevils team. Team has paid $1.9 million to purchase Irfan pathan but he did not make good performance in batting as well as in bowling too. Bangalore purchased Saurabh Tiwari at $1.6 million with big hope. However, he made only 187 runs in 16 matches. So team and his fans are dissatisfied with his performance. Robbin uthappa and Yusuf pathan became the second costlier players of the IPL 4. However, they did not play as per the fans expectation. Uthappa scored only 264 runs in 14 matches while Yusuf scored 283 runs in 15 matches. Cameron white, Dinesh Kartik, Abhisek Nayar, Harbhajan, Sreesanth, Muralitharan, Denial Krishnan, Yuvraj Singh, Grim Smith, Pollard, and Pravin kumar did not play too well as their fame in tournament and thus they proved themselves as little bit costlier players for their team. Orange cap is considered until now as unlucky to win IPL match. If we take a look in 4 year history of Indian Premier League then we came to know that this matter is absolutely correct. The team of such a player, who got orange cap in the IPL, did not win the title of winner in the record of IPL.